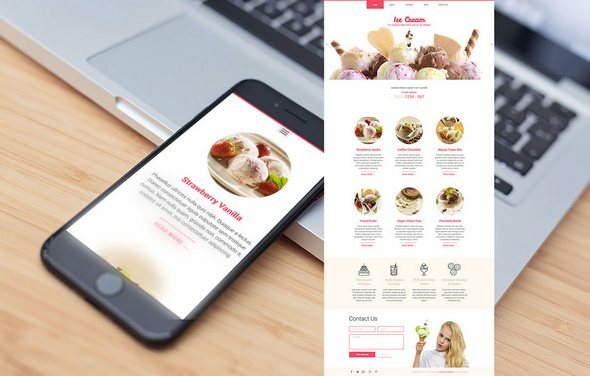 Ice Cream is responsive Joomla template for websites of the ice cream producers, ice cream shops and delivery services and confectioners. This template is based on a clean design with white background color and one accented color. This approach puts the colorful images of the ice cream cups in the main focus.